Sometimes the cool and refreshing taste of 7 Up® just isn't enough. Sometimes you need a 7 Up® themed video board game to go with your delicious lemon-lime beverage. 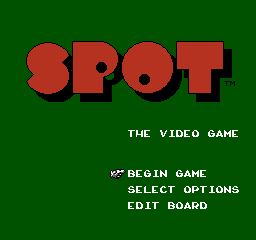 Luckily for you, there is Spot: The Video Game, a multiplayer strategy board game available on Amiga, Atari ST, DOS, Game Boy, and NES featuring the red spot from the 7 Up® logo. 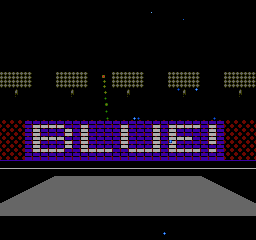 This review will focus on the NES version. There can be a lot of thought and strategy involved in playing this game, so if you're taking it seriously, one game could go for a good half hour or more. But if you're playing with your mom and she takes forever to decide on a move, you can actually set a turn timer for each player individually to force them to make a move or else forfeit their turn. The difficulty of computer players can be changed as well. If those options weren't enough, you're also able to design your own board by enabling and disabling spaces beforehand or by choosing from one of many preset designs, in the same way as you can choose from any of the delicious and/or low calorie varieties of 7 Up® soda. After 20ish years, I once again played Spot with my dad. Spot: The Video Game replaces the rather macabre scifi theme of Ataxx with its own hip (and family friendly) Spot character who stands on the side snapping his fingers to the music while he waits for you to make your move. 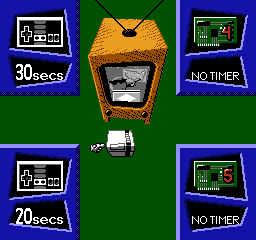 There is also a fluid and unique animation and short musical ditty which accompanies each of the possible moves you could take. Apart from the short bits of music that go with the move animations, Spot has one main theme and it's not half bad. However, unlike taste of Cherry 7 Up®, the music does get old after a while. 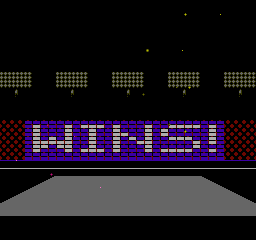 At the end of the game, the winner is treated with a fireworks show and an animated crowd holding up signs to say "BLUE (or whoever) WINS". It's almost, but not quite, as entertaining as winning Windows Solitaire. 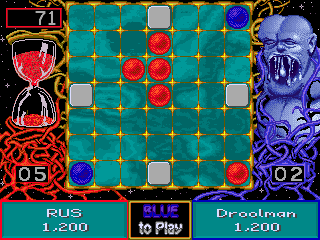 Unlike Itadaki Street / Fortune Street, which expanded on physical board games to a level that could only be achieved with a video game, Spot: The Video Game is simple enough that it could be played as an actual board game without too much effort. That said, there is a fair bit of strategic depth to this easy-to-learn game. 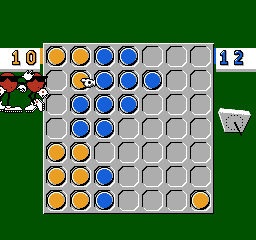 If you're a fan of playing board games on your TV, grab a 7 Up® and give Spot a try.